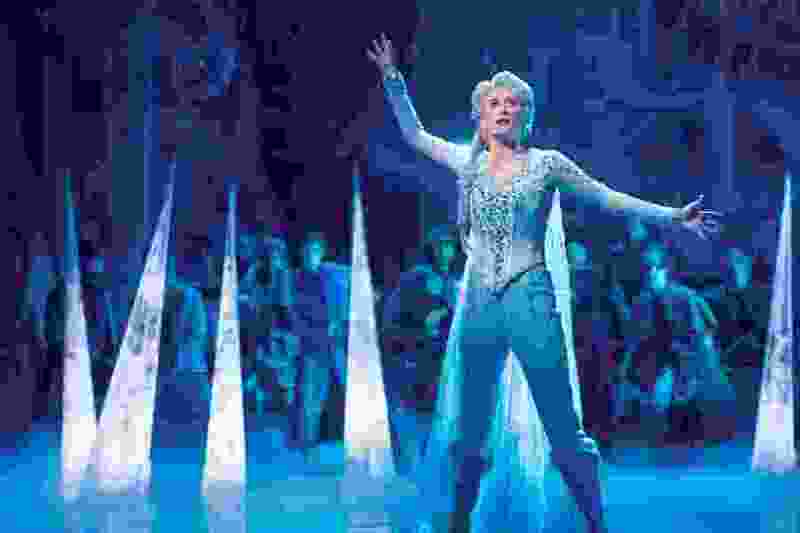 (Deen Van Meer | courtesy Disney) Queen Elsa, played on Broadway by Caissie Levy, reckons with her powers in Disney's "Frozen." The national touring production of the stage musical will be performed April 15-May 10, 2020, at Salt Lake City's Eccles Theatre, as part of the 2019-2020 season of Broadway at the Eccles. Here’s who theatergoers will see next season at the Eccles Theater: a queen with icy fingers, a teen with a broken arm, a milkman with five daughters, a Vietnamese war orphan, a missing Russian princess, and a kid who just wants a Red Ryder BB gun for Christmas. Broadway at the Eccles has announced its 2019-20 season — and Disney’s “Frozen” and the Tony-winning “Dear Evan Hansen” top the list of the most-anticipated touring musicals making their Salt Lake City debuts. Those shows also will have the longest runs. The engagement for “Frozen” will span 26 days, while “Dear Evan Hansen” will be performed for 11 days. The other four shows will have runs of six days. Season ticket renewals begin Friday at 9 a.m., online at www.Broadway-at-the-Eccles.com, and in person, at 610 E. South Temple. “Miss Saigon” • Oct. 15-20 • The team behind “Les Miserables” brought this loose adaptation of “Madame Butterfly” — about a Vietnamese bargirl who falls for a U.S. Marine in 1970s Saigon — to Broadway in 1991, with a well-received revival in 2017. 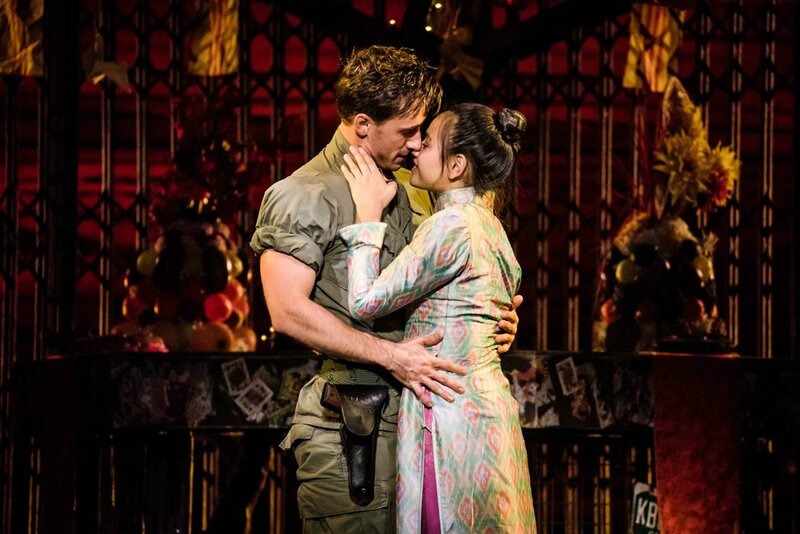 (Matthew Murphy | Courtesy of Broadway at the Eccles) In the national touring production of "Miss Saigon," the Vietnamese bargirl Kim (Emily Bautista, right) and Chris (Anthony Festa), a U.S. Marine, fall in love and sing "Last Night of the World." The touring show will open the Broadway at the Eccles 2019-2020 season at Salt Lake City's Eccles Theater, Oct. 15-20. “A Christmas Story” • Dec. 3-8 • Benj Pasek and Justin Paul, before they wrote the songs for “Dear Evan Hansen” and “La La Land,” wrote the music for this adaptation of the beloved holiday movie, based on Jean Shepherd’s stories of a childhood that included a rabbit costume, a leg-shaped lamp and that eye-damaging BB gun. 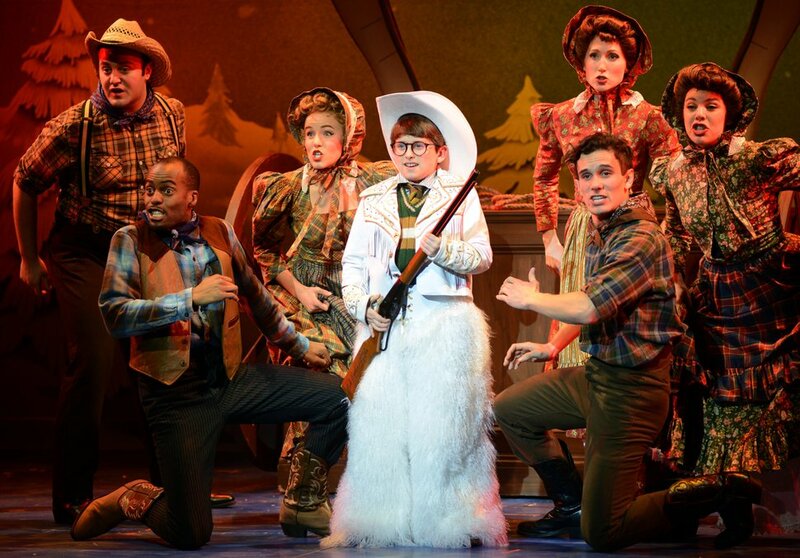 (Photo courtesy of Broadway at the Eccles) Ralphie, played by Colton Maurer, holds his much-desired Red Ryder BB gun, in a scene from the musical "A Christmas Story." The touring production will play Dec. 3-8 at Salt Lake City's Eccles Theatre, as part of the 2019-2020 season of Broadway at the Eccles. “Fiddler on the Roof” • Jan. 21-26, 2020 • The Jerry Bock/Sheldon Harnick classic, first on Broadway in 1964, adapts Sholem Aleichem’s stories of life in a Jewish-Russian village a century ago — centering on Tevye, a simple milkman dealing with the romantic entanglements of his five daughters. A Broadway revival in 2015 and 2016 received three Tony nominations. (Joan Marcus | Courtesy of Broadway at the Eccles) Performers from the national touring production of "Fiddler on the Roof," which will run Jan. 21-26, 2020, at Salt Lake City's Eccles Theater, as part of the 2019-2020 season of Broadway at the Eccles. “Dear Evan Hansen” • March 4-14, 2020 • The Tony winner for best musical in 2017, this seriocomic tale centers on a high school kid who becomes enmeshed in the aftermath of a classmate’s suicide. Benj Pasek and Justin Paul (“La La Land,” “The Greatest Showman”) wrote the songs. 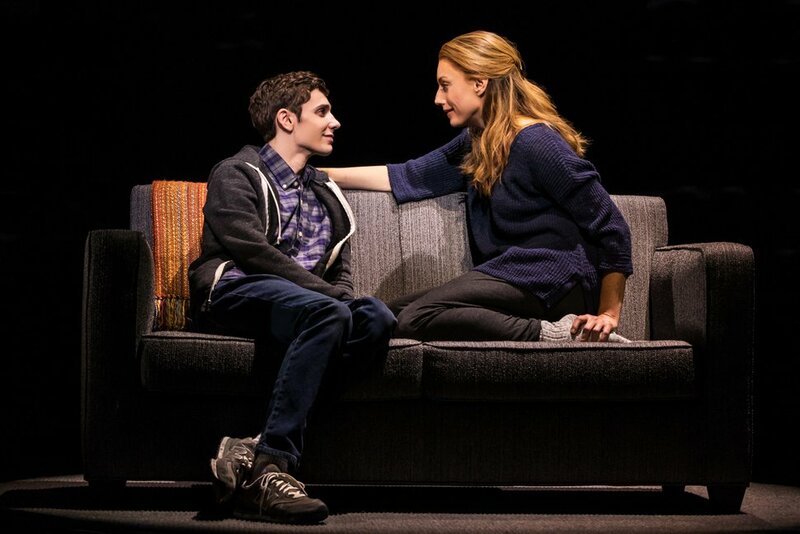 (Michael Murphy | courtesy Broadway at the Eccles) Ben Levi Ross, left, plays Evan Hansen, a high-school student dealing the aftermath of a classmate's suicide, and Jennifer Phillips plays Heidi Hansen, his mom, in the 2018 North American touring production of the Tony-winning musical "Dear Evan Hansen." The musical will arrive at Salt Lake City's Eccles Theater, March 4-14, 2020, as part of the 2019-2020 season of Broadway at the Eccles. “Frozen” • April 15-May 10, 2020 • Disney’s beloved musical about two sisters — one of whom has hidden her magical ice-forming powers — has gone from an Oscar-winning 2013 film to a Tony-nominated 2018 musical, both with songs by Kristen Anderson-Lopez and Robert Lopez. The Broadway at the Eccles season also features one add-on engagement: “The Illusionists,” a jaw-dropping Broadway production featuring a team of magicians who perform levitation, mind-reading and — drumroll — a full-view water torture escape. “The Illusionists” runs Feb. 14-16. (Photo courtesy Broadway at the Eccles) Sabine the Sorceress stands atop a water tank, one of the tricks performed in the stage show "The Illusionists." The touring production will be performed Feb. 14-16 at Salt Lake City's Eccles Theater, as an add-on to the 2019-2020 season of Broadway at the Eccles.